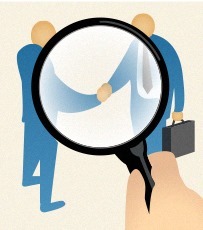 Due diligence is a necessary and important step when considering a licensing partner. This applies both to licensing in and licensing out. The process of due diligence is basically to get as much information as possible about the potential partner. Every licensing deal should begin with researching a potential licensee. The first step in considering a licensee’s proposal is having them complete a licensing application. It will provide some good background information and help identify any potential issues. 1. Quality and Reputation of the Licensee. Does the licensee produce and deliver the quality of products or services that reflect your quality standards? Does the licensee have a good reputation with its distribution channels, retail partners and customers? 2. Experience of the Licensee. Does the licensee have experience with your type of IP? Does it fit within their product or service line and sales channels? Verify a licensees strength in key distribution channels, whether they use direct sales, distributors or brokers, or some combination of both. The use of third party manufacturers is common in licensing, and it’s important to make sure they have the necessary manufacturing capabilities in place. 3. Financial Condition of the Licensee. Does the licensee have the financial resources needed to successfully commercialize your IP? Is the licensee credit worthy? References such suppliers and vendors, running a D&B report and researching SEC filings can confirm if the potential partner will be able to perform financially. 4. Competing Products. Does the licensee handle other products or services that might compete? If so, will the licensee devote sufficient resources and attention to your IP? The better you research a licensee in advance of the licensing deal, the more headaches you’ll avoid down the road.